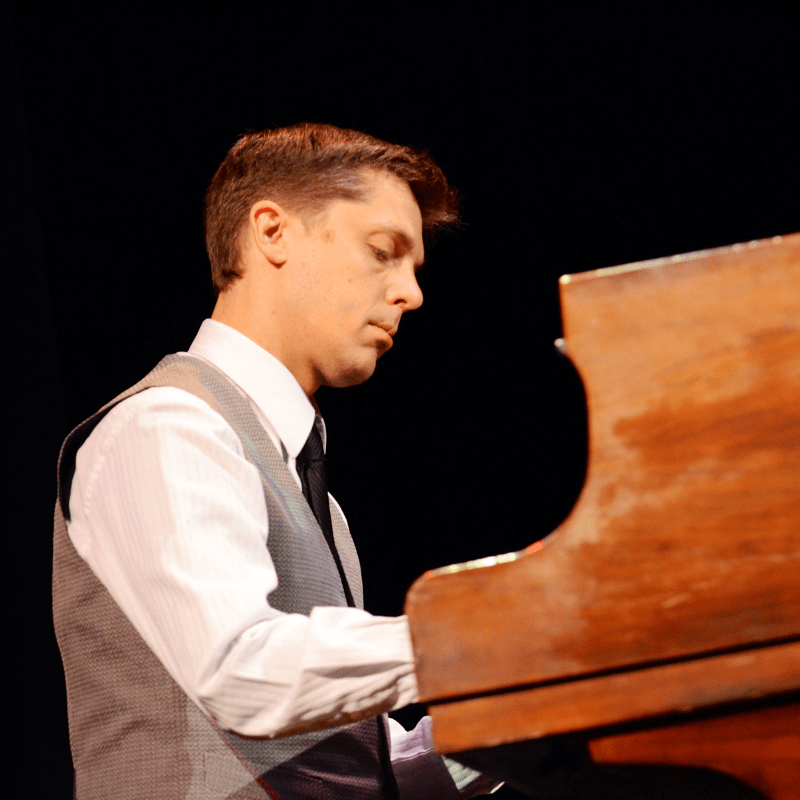 Jason Wanner took an interest in the piano at the age of 5, although lessons didn’t begin until he turned 6. From that point he began classical training and at the same time became interested in ragtime and jazz piano. His early influences as a child included Vladamir Horowitz and Vince Guaraldi. At the age of 12, after being a spectator for quite a few years at the Sacramento Jazz Jubilee, he attended the Sacramento Trad Jazz Camp for one week where he studied with Johnny Varro and “K.O.” Eckland. Immediately following the camp, he received many opportunities to perform with other musicians his age in bands, including The New Traditionalists (1990-1991), Crushed Red Pepper (1991-1992), and Timeless Tradition (1992-1997).